Looking for Bimini Top Hardware and Bimini Top Frame Kits at very competitive prices? You have come to the right place. Save Now on Quality Bimini Top Hardware! Large Selection of Bimini Top Hardware, Fittings and Bimini Top Frame Kits - Free Shipping on Qualified Orders. Our Bimini top frame kits are universal and ready to assemble in kit form, simply cut to size. Bimini Top Hardware is available with either nylon hardware or die cast hardware. They are packaged 1 boat top frame kit per box with boat top hardware and can be shipped via UPS. Have Questions about our Bimini Top Hardware or can't find the Bimini Frame Kit you need listed? 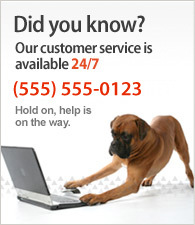 Call 1-800-365-0691 for immediate assistance or use our easy contact form here. We are hear to help you select the right boat top hardware for your specific needs. Our 2 Bow Bimini Top Frame kits are universal and ready to assemble in kit form, simply cut to size. Have Questions about our Bimini Top Hardware or can't find the Bimini Top Frame Kit you need listed? Call 1-800-365-0691 for immediate assistance or use our easy Contact Form. We are hear to help you select the right Bimini hardware for your specific needs. Looking for Bimini 3 Bow Frame Kit and Bimini Top Hardware at very competitive prices? You have come to the right place. Our boat top frame kits are universal and ready to assemble in kit form, simply cut to size. Our Bimini top hardware is available with either nylon boat top hardware or die cast boat top hardware.